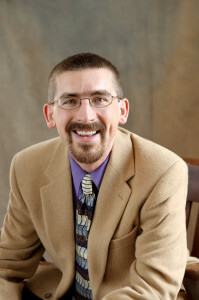 Matthew Arndt, assistant professor of Music Theory at The University of Iowa School of Music, holds a Ph.D. in Music Theory from the University of Wisconsin–Madison, an M.M. in Composition from the University of Colorado at Boulder, and a B.A. in Composition with honors from Lewis & Clark College. He has also held full-time teaching positions at Lawrence University and Mercer University. Much of Dr. Arndt’s research at present stems from his doctoral dissertation, which examines the musical thought of Heinrich Schenker and Arnold Schoenberg from a historical, theoretical, analytical, and critical standpoint. He is currently developing his dissertation into a series of articles. An article on Schenker’s and Schoenberg’s concept of the tone has appeared in the Journal of Music Theory, an article on Schenker’s concept of interruption has appeared in the Journal of Schenkerian Studies, and future articles will address Schoenberg’s concept of problems in music; Schenker’s and Schoenberg’s concept of the genius; self-expression and alienation in Schoenberg’s “Ich darf nicht dankend,” op. 14, no. 1; vision and realization in Schoenberg’s Six Little Piano Pieces, op. 19; and the tropes of vision and blindness in Schoenberg’s musical thought. More broadly, Dr. Arndt is interested in the history of music theory, music theory pedagogy, and their intersection. He is interested in applying insights from the history of music theory, particularly eighteenth-and nineteenth-century music theory, to the challenge of rooting students in a particular musical tradition while enabling them to come to grips with an ever-changing and ever-broadening musical world. Finally, he is also involved in analysis and criticism, particularly of eighteenth- and nineteenth-century music with a focus on instrumental music and twentieth- and twenty-first-century Eastern European music with a focus on sacred music. Dr. Arndt is currently writing a book titled, “With God!”: The Musical Thought of Heinrich Schenker and Arnold Schoenberg.